I think this is a great way for Club Penguin to gain more players! 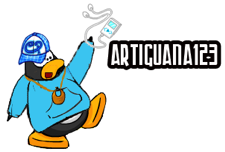 Many people will probably be intrigued by this advertisment and make an account on Club Penguin. Hmmm… have you seen any Club Penguin-related advertisments recently? Be sure to leave a comment and let me know! I think this is a great update. Now we don’t have to wait every week for field-ops just to earn one medal. Looks like I’ll be able to earn some more cool EPF gear! What about you agent? Leave a comment and let me know. Club Penguin Wilderness Expedition ULTIMATE Guide! Hey penguins, Double Mvp here. Today, the highly anticipated Wilderness Expedition was launched. This is a fun event that has many cool features, well decorated exclusive room, and some epic free items! So without further adu, here is the Wilderness Expedition Ultimate Guide! Okay explorers, are you ready? Head down to the Dock to begin your adventure! Before you head into the wilderness, be sure to grab a Wilderness Hat. In the snow is a piece of paper. Click on it, and a message will appear telling you to follow the machine parts. During your journey, be sure to look for any machine parts and head in that direction! Next, you will be in the wilderness, surrounded by a bunch of tall trees. Follow the machine parts you see to get going on the right track. 1. Plug in the plug. 2. Click the coffee beans to grind them. 3. Click on the cofee dispenser. 4. Click on the coffee. 5. Push the green button. 6. Pull down the pink and green switches. 7. Push the yellow, pink, blue, and pruple buttons. 8. Pull the blue lever. 9. Click on the piano keys that flash green. 10. Press the green button. 11. Press all of the green squares. 12. Pull the pink, then blue lever. 13. Turn the wheel/nob thing. 14. Pull the red chain. 15. Click the hot sauce bottle. 16. Click the water tank. 17. Click on the vent. 18. Click on the toaster. 19. A target will appear. Throw a snowball at it. 20. The barrel will rise… walk on it. You will be transported to the coast of this mysterious place. You can buy a Life Jacket for a mere 50 coins if you’re a member. If you are a member penguin, you will be able to sail somewhere on a boat! But first, you have to assemble it. Place all of the pieces of the boat exactly how mine is below… good luck! Note: You need to buy a life jacket in order to sail on the boat! This wraps up your Wilderness Expedition! I hope you enjoyed as much as I did. What was your favorite part about this amazing journey? Leave a comment and let me know. I’m not a member, sorry. New Club Penguin Glitch- Paper Background! 1. Open your map and click on the Dock. 3. Travel through any random path. Right before you are transported to the next room, click on your igloo. 4. Your screen should look like the one above! Please note: It is difficult to actually make this glitch work. You have to time your click perfectly in order to see this. Were you able to see this glitch? I’ve been able to see it three times. Leave a comment and let me know. Hey penguins, Double Mvp here. Today, my buddy Alex Bl17 found a sneak peek of a Chinese log-in screen! It looks like Club Penguin will be adding Chinese features to their site very soon! Check out the log-in screen below. The Club Penguin logo looks pretty cool in Chinese! 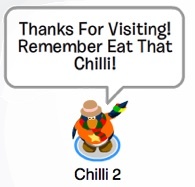 Anyway, I think this is a great way for Club Penguin to attract more worldwide viewers. So, do you know how to speak Chinese? Are you excited for Chinese features? Drop a comment and let me know. Wow! THAT IS SO AWESOME! Thanks for posting it here. Oh, that’s so cool! I’m taking Chinese at school so I might be able to read some. How do you get sneak peeks? CP won’t send me any. Yep! I only posted it here and my site. I could’ve posted for Eunesharun.com and ClubPenguinCooler.com, but I’m gonna do that later. xD Also, Club Penguin doesn’t send me these exclusives. I got this one from a friend, who got it by decompiling .swf files. New Save Your Password Features on Club Penguin! Hey penguins, Double Mvp here. If you try to save your password on Club Penguin to your computer, a new message will pop up! Here’s how you can view the new features. 1. Click “remember my password”. 2. Select either “Yes” or “No”. After this, all three of the messages below will pop up. Someone could spend your coins! Someone could change change your igloo! Someone could ban your penguin! These are pretty good tips you should consider when saving your password! Anyway, I like this new feature. It makes things much simpler and the graphics are pretty cool. How do you like this new feature? Leave a comment and let me know. Awesome find! I noticed this on another blog too! New Club Penguin Bean Counters Music! Hey penguins, new author Double Mvp here. Have you played Bean Counters at the Coffee Shop recently? If you have, you will have noticed some funky new music playing with the game. Ooh, aah! 1. Open your map located at the bottom left corner of your screen. 2. Click on the Town, and waddle into the Coffee Shop. 3. Waddle up to the bag of coffee beans. Click here to listen to the NEW Bean Counters music. Sounds pretty sweet, right? Click here to listen to the old Bean Counters music! Which of these tunes do you like the best? Drop a comment and let me know. thats awesome! wow. thats why we need you on this site! you are observant. i NEVER play bean counters! i only look for the obvious changes. Welcome to the Site Double Mvp! Awesome Job already. I added you to the site and you are now on the side of the page! 😀 You can make some pages if you want or whatever. Be free and do what you like! Oh yeah, and I definitely like the old music better. D: LOL Great find though Double Mvp! Thanks crew! It’s going to be great posting with the Chilli Pepper Penguins! 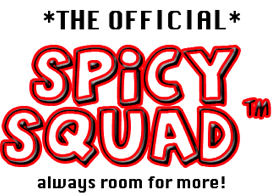 chilli….. when are you going to put the rest of the spicy squad on? you put double mvp but im just wondering since it’s been months…. Yeah, Pary Panguin’s right. It’s one of CP’s old songs that’s still around, and it’s a little sad they changed it.